Goals, we all need them and need to write them down. One year ago today, I committed to running the Chicago Marathon without running for about a year and a half. The furthest I had ever run was a 10k and had run a total of 3 races. Little did I know, this would change my whole lifestyle. I was asked by a co-worker “what’s next? More marathons, an ultra, or a mini-triathlon?” I have thought long and hard about this over the last couple weeks as 2018 wraps up. Running has seemed to help with the Crohn’s symptoms and have kept things in check for the most part. This is a new lifestyle for me and I am going to keep on going. I have a few goals in mind going into 2019. Three half marathons. I have registered for my first one which is March 16 in Marion, IN for the Shamrock Shuffle. I will also do Fort4Fitness in October so I am looking at a few in the early summer time that I will do. Ultimate goal is to hit 1:45. 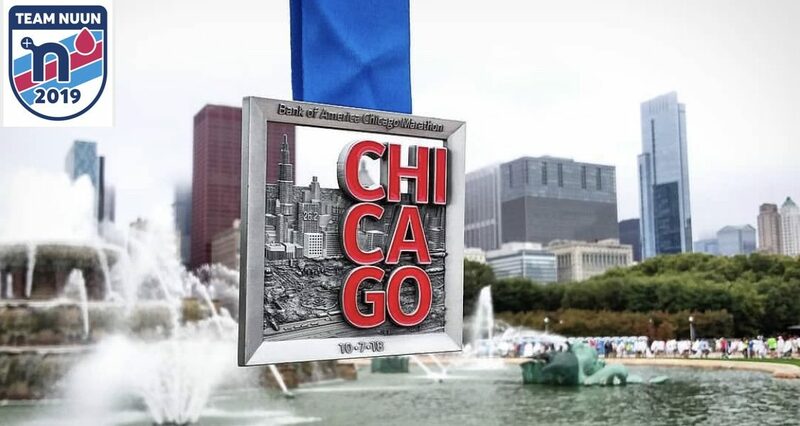 During my training last year, I did hit the half mark at about 1:53 and hit the half marathon point in Chicago at 1:58. I know this is possible with the right speed training. Hit 1300 miles for 2019. This year, I will hit about 1100 miles for the year. Keep in mind, I ran a total of 20 miles in 2017, all of which was right in the last week and a half of the month to start conditioning for my training for Chicago. I’m sure I will throw in a 10k here and there which will hopefully line up with my training schedules. Cheers to 2019 and can’t wait to see what happens! Previous Previous post: 1000 Miles!! !